When I have a rough day at school for whatever reason–a challenging meeting, a botched lesson, a tricky planning problem–the one thing that helps me think and focus is running. I know lots of people say they only run when chased, so maybe that makes me a weirdo, but running is the one thing that is guaranteed to give me some clarity. I need to move in order to think. This past month, I’ve been thinking a lot about my students and their need to move, too. I spent the early years of my career teaching Spanish, so I know all about the research that movement helps students learn better. We danced the alphabet, acted out the weather, and clapped and shimmied our way through verb conjugations. But somehow, as I moved away from the world of foreign language, my classes became more and more sedentary. Writing and reading became this calm, seated activity. There’s certainly a need for that. You can’t exactly think and compose while you’re dancing. Or can you? I think maybe there are places for it. This year when school started, I greeted my students with a room full of physical changes. I read a blog post about Reimagining Learning Spaces over the summer, and I was ready to change it up in rm 252. I abandoned my teacher desk, made a student work area, and I decorated (nothing, sadly, as chic as the decor in the blog post…but I tried). The change I was most excited about–also inspired by that post– was the six different layouts of desk arrangements. Six, numbered layouts posted on my wall. Pairs, large group, small groups, etc. It was one little idea that I was pretty sure was going to have a major impact because it would help me teach my students routines for moving quickly from one activity to the next. Four weeks in, I’m happy to report that that one little change has had a huge impact on my classroom. The first week of school I made a point of having the students move the desks at least once a class period. At first they thought it was a little strange, and we had to figure out our expectations of each other. How can we do this quickly and efficiently? But now, a month in, students come in my room and say “What’s the setup for today?” I yell out a number and desks are in place before the bell rings. We switch from partner work to whole group in a matter of minutes and then back to small group tables by the end of the class period. Every time we do it, it’s a little break, a time to move, and a little exercise for a different part of the brain. With my newfound ease of movement, I saw a world of possibilities. I realized my writers could move with intention and use physical activity to help their writing grow and develop at every stage in the writing process. There are lots of ways to embed movement in our writing instruction. Here are a few things I’ve been trying this past month. After my AP Seminar students did some prewriting, researching, and planning for their recent argumentative essays, they were all feeling a little overwhelmed. Some were frustrated, many had hit the wall and few knew where to go next. They had great ideas but no one was sure what to do with them or how to organize them. They needed to talk, and in the past I would have had them do that sitting in small groups. I flipped on some music and told the kids we were going to do a little speed dating. While the song was playing they were to dance on over to someone and chat about frustrations and questions. They were to help each other develop their ideas. When the music changed, we’d bust out some new moves and find a new partner. It was a little silly, but it released the tension valve in the room. I put on some fun music, people started to talk, and ideas started to grow. By the end of the class period, every student had been able to talk to at least four peers and almost all of them had some clarity about their next steps. Later in the writing process, those same students were frustrated again! They’d all begun drafting and had discovered that I wasn’t going to give them strict formulas for the essays. They needed to examine some mentor texts and look at different ways to structure an argument. In the past, I may have had them do that at their desks or guided them through it on the board. I cut out some big colorful arrows and divided the kids into groups. Each group received a stack of arrows, a mentor text and the instruction to figure out how to walk me through the text’s argument. They looked at the text, spread out the arrows, reorganized, discussed, and reconfigured. When each group finished, they had to physically walk me through the text arrow by arrow.When they moved back to their own texts and we were talking through their own arguments, they were suddenly better able to SEE how the pieces should fit together. In another class, my students were focusing on choosing strong, rhetorically accurate verbs for some analytical writing they were doing. I needed them to brainstorm lists of synonyms for “says” and “explains” and “criticizes” and think about the intensity of the words they were choosing at the same time. In the past, we’ve created word walls or spectrum charts and those have all definitely worked. It was a rainy, gray day and they needed some energy. We pushed all the desks back against the walls, divided into six teams, and raced to the board to add words to a scale. One point if you had a high quality word and could explain where it fell on the intensity scale. Negative point if your word didn’t fit. There was some team building, a lot of laughs, and a huge list of new words to play with by the end of the twenty minute game. Nothing I’ve just described is earth-shattering or revolutionary. Lots of teachers use music or movement to get kids thinking in different ways. For me, though, committing to giving my students chances to move everyday–or nearly everyday–has been a big shift. In the crush of curriculum to cover and discussions to facilitate and writing conferences to have and tests to give, I think it gets easy to let movement shift to the back burner. We quickly fall into the habit of sedentary learning. Since joining this Moving Writers community, reading other teachers’ ideas and reflecting on my own practices has pushed me to think about how I can move my writers in a positive direction. But this fall I’ve discovered that moving them–like actually moving them–has helped them make some of the most positive moves yet. 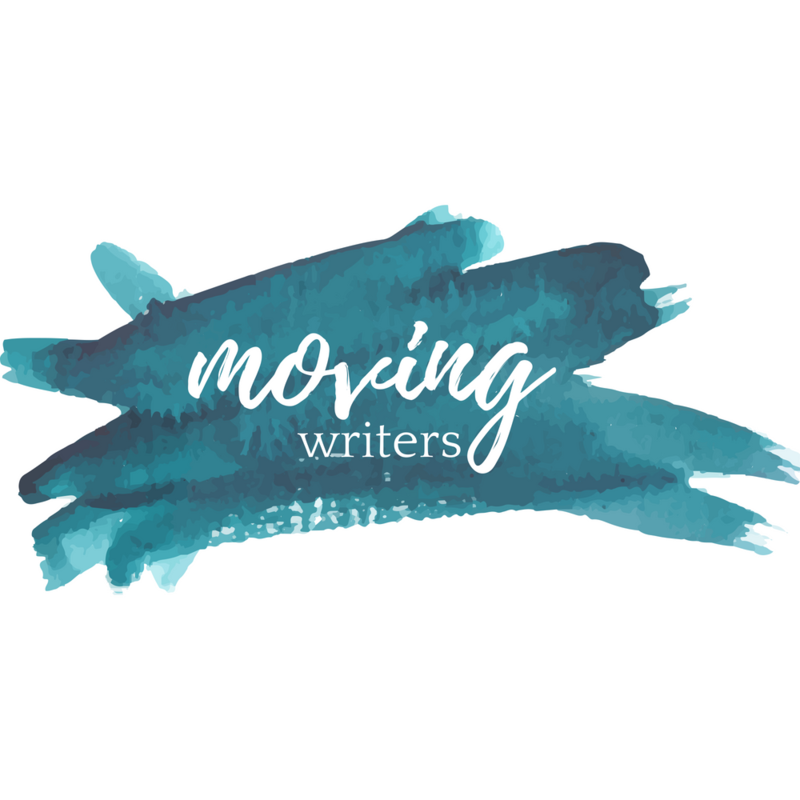 So what do you do to move your writers around? Share your ideas with me on Twitter @TeacherHattie or comment below!